If you still own a Windows XP computer it’s time to upgrade ! Windows XP support has expired as of April 8, 2014, that will include both security and non-security hot fixes, free or paid support options and online technical content updates. 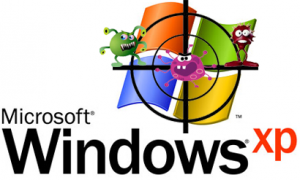 There are still many Windows XP users that still won’t upgrade their operating system by April 8, 2014, they would rather wait till Windows XP no longer works, keep reading to discover why this is a poor choice and why you must upgrade before the clock runs out ! What is the risk of still using Windows XP after the cutoff date? Without security updates using Windows XP will be like having a door made of swiss cheese without anyone to patch the holes that would let would-be attackers get into your computer. Once they have identified the vulnerability they will attempt to develop code that will exploit it and then pass it around to every would-be attacker as well as use it to infect your Windows XP computer. There is antivirus software out there to help protect and fix infected computers however that is not an effective one-size fits all solution to the real dilemma and challenge which is now you will never know with confidence that you can trust your computer with Windows XP on it without those critical monthly security updates. As a result, the security features that are built into Windows XP will no longer be sufficient to defend against modern threats.